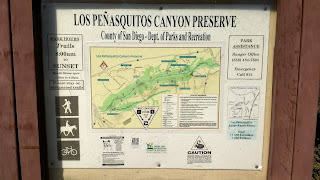 Los Penasquitos Canyon is a great day-use trail which is located about 20 miles north of San Diego. This trail is popular for hiking, biking and horseback riding. 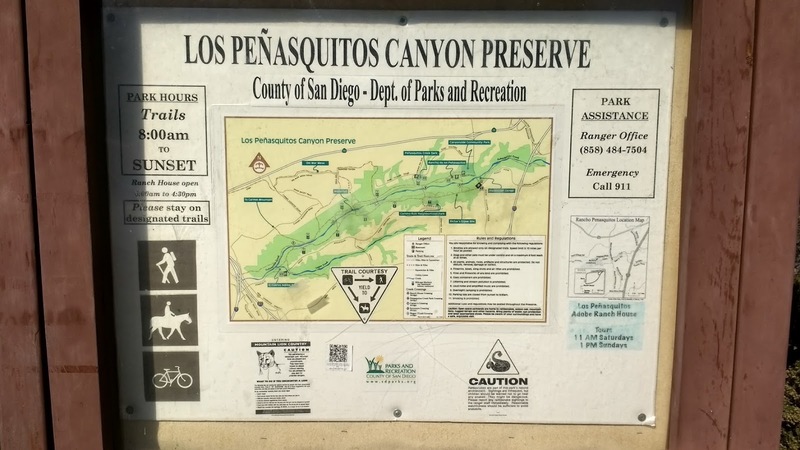 From the northern entrance located just off the 15 freeway, the Los Penasquitos trail follows the Penasquitos creek to a small cascading waterfall. 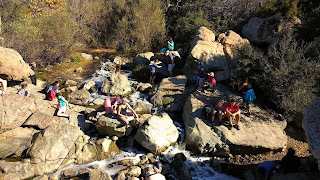 From the northern trailhead, the hike is approximately 6 miles roundtrip to the waterfall. 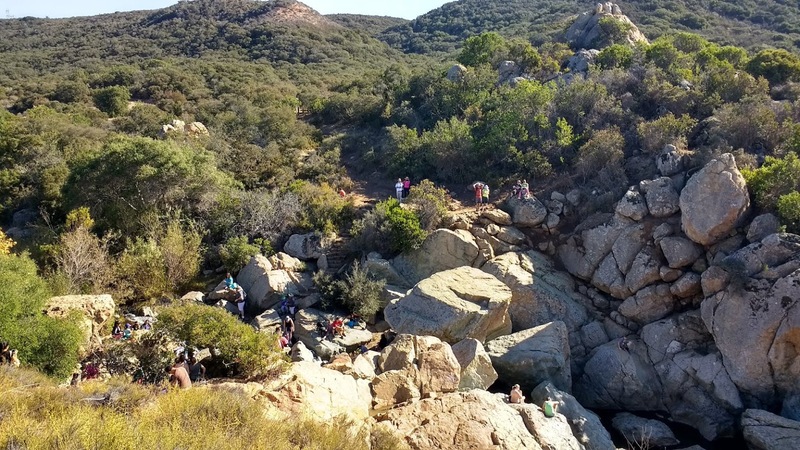 Most people can finish the hike in less than 3 hours. The trail is almost entirely flat and is suitable for hikers of any age or ability. Dogs are also permitted on the trail as long as they are leashed. The canyon is partly shaded by acorn trees, but there are some sections where you will be exposed to the sun. The summer temperatures in this area can be extremely hot, often in the 80-90 degree range. Dehydration is a very real concern and hikers should be bring plenty of water for the trip. One small bottle of water will NOT be enough during the summer months. For people who like to get away from the crowds, this trail may not be for you. Because of its proximity to the freeway and several large neighborhoods, this trail is almost always busy. The main trail through the canyon is extremely wide, but there are many smaller single-track trails which wind through the trees and provide some shade for hikers. Mountain bikers are not technically permitted to use the single-track trails, but many still use them anyway. Don’t be afraid to get off the main trail and do some exploring in the canyon. There are several fun wooden bridges which cross over the creek. 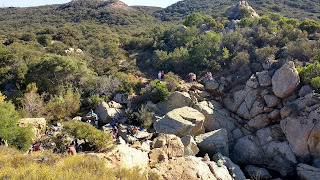 You won’t be able to miss the waterfall because its marked by a giant rock outcropping in the center of the canyon. The waterfall is definitely the highlight of the trip, so don’t give up before you see it. 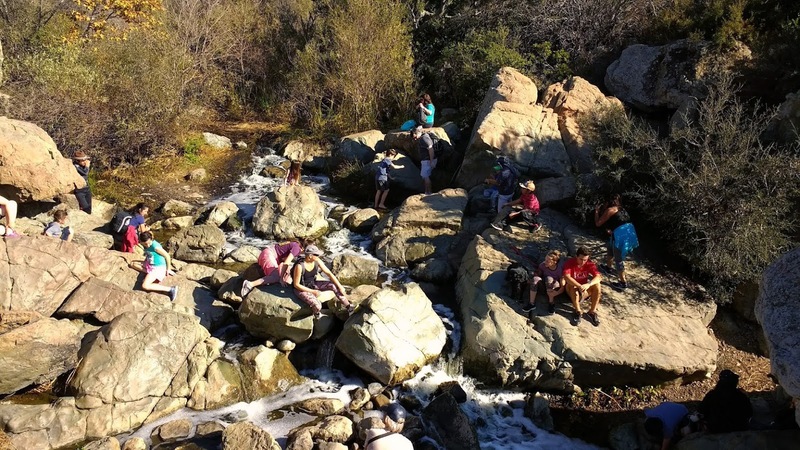 While not nearly as impressive as Cedar Creek Falls to the east, Los Penasquitos is unique because it is one of only a few waterfalls in the area which flows consistently. 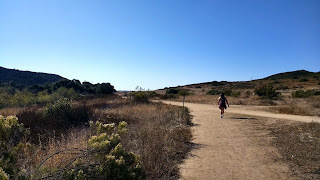 Los Penasquitos Canyon is definitely worth a stop if you’re looking to get out of the city in San Diego and do a good a hike. From Route 15, take the Mercy Road exit and head west for approximately 1 mile to Black Mountain Road. The entrance to the trailhead is located at the intersection of Mercy Road and Black Mountain Road. There is a $5 fee to park at the trailhead, but there is free parking available in the adjacent neighborhoods if you don’t mind walking a bit further. The trail is simple to find and starts at a locked gate at the far end of the parking lot.